Adapted these from the Arkansas State University forum, who subsequently adapted them from the Texas A&M page. Also sourced are the FAU Booster Compliance page and the Oregon NCAA Booster Compliance packet. I think this would make a good announcement or sticky thread. Q. Who is a booster? Once you become an athletic representative, you remain one indefinitely. A person can be an athletic representative for more than one institution. Representatives of athletics interests are subject to NCAA regulations and both the representative and FIU is subject to penalties for any violation of NCAA rules by athletic representatives or their support organization. Q. Who is a prospect? A. A prospect is a student in the ninth grade or above, including students in prep schools and junior colleges and individuals who have officially withdrawn from four-year schools. Any student not yet in the ninth grade becomes a prospect if an institution provides him/her with any financial aid or other benefits that are not generally provided to prospective students. A prospect remains one until reporting for practice or attending classes. Q: What exactly does "recruiting" constitute? A: Recruiting is any solicitation of a prospect or a prospect's relatives [or legal guardian(s)] by an institutional staff member or by a representative of the institution's athletics interests for the purpose of securing the prospect's enrollment and ultimate participation in the institution's intercollegiate athletics program. Q: Who is allowed to recruit for FIU? Only FIU coaches who have passed the NCAA Recruiting Rules Examination may be involved in the recruitment process. There may be no recruiting contacts made by "representatives of athletic interests." This includes letters, telephone calls or face-to-face contacts on or off campus. 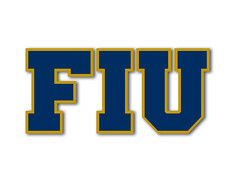 Off-campus recruiting contacts made by an FIU regular admission program representative and directed at all prospective students, including nonathletes. Contacts made with a prospect by an established family friend or neighbor, it being understood that such contacts are not made for recruiting purposes and are not initiated by a member of an institution's coaching staff. Q. What contact is allowed? A. An athletic representative may not contact a prospect or his/her parents in person, by telephone, in writing or via social media channels (such as Facebook, Twitter or Myspace). Contact may not be made with a prospect or his/her parents on or off the FIU campus. There is an exception if the representative had a relationship with the prospect prior to him/her becoming a prospect and the contact is not for recruiting purposes or initiated or arranged by FIU. Q. What if a prospect calls you? A. An athletic representative may have a telephone conversation with a prospect ONLY if the prospect initiates the call. The call may not be prearranged by an institutional staff member and the athletic representative may NOT have a recruiting conversation, but may exhibit normal civility. The athletic representative must refer any questions about the University's athletic program to the Athletic Department. You may answer questions about Florida International University that do not involve athletics. The same goes for in-person contact. The contact cannot happen at the prospect's school or the site of the school's games. Q. Can I contact FIU coaches about prospects? A. Yes. An athletic representative may not, however, get involved in the actual evaluation of the talent of a prospect. In other words, an athletic representative may not contact a prospect's coach, principal, or counselor nor visit the prospect's educational institution to pick up film or transcripts pertaining to the evaluation of the prospect's athletic or academic abilities. In addition, an athletic representative cannot contact the prospect for purposes of soliciting the prospect's enrollment at FIU and ultimate participation in athletics. Last edited by nothingxs on Wed Jan 25, 2012 10:42 pm, edited 5 times in total. Great stuff. This is why I would always chime in and try to stop people on this board from swaying/talking to a recruit or his parents. This website is more detailed about recruiting. "One pick too late to make history, but I'll take it. Ron Turner better milk the hell out of this. Good luck in JAX, Cyp." Does this mean I need to cancel my 5-star Slumber Party? Yep. Same here. We have to be very careful even about communicating with parents of unsigned recruits. Well better late than never? HAMMER TIME! Mike Gundy said he can't get concerned about fans contacting recruits via social media because it is not going away. With social media allowing direct contact with prospective high school recruits, fans of colleges across the country continue to commit NCAA violations on a daily basis. If signing day is approaching, particularly in football and men’s basketball, a quick scroll through a recruit’s mentions on Twitter can see fans of schools he or she is considering encouraging the recruit to commit to their school. This contact is impermissible according to NCAA rules, said Ben Dyson, Oklahoma State’s assistant athletic director of compliance. “As soon as you contact a recruit and try to persuade them to come to your school, you automatically become a booster because you are helping a recruit come to a specific institution,” Dyson said. “Boosters aren’t allowed to recruit prospective student-athletes. An example of impermissible contact between fans and recruits occurred with Keon Hatcher, a wide receiver at Owasso High School and an Arkansas signee. Hatcher committed to Arkansas in August 2011, but took official visits to Oklahoma State and Arkansas in January, a month before signing day on Feb. 1. Hatcher said he joined Twitter last year because Facebook was getting boring at the time. He has tweeted more than 9,000 times and often retweets tweets sent to him from his 2,941 followers. During January when he was taking visits, Hatcher’s retweets consisted of Oklahoma State fans begging him to switch his commitment and Arkansas fans pleading him to cancel his visit to Stillwater and remain committed to the Razorbacks. Hatcher made his final decision after talking to his family and coaches. He said the fans tweeting at him had no effect on his school choice, but he wanted to retweet what they told him. Little did these fans tweeting at Hatcher and other recruits know they were committing NCAA violations with their tweets. Not only were these tweets impermissible, some were also morally questionable. Extremist fans from both schools tweeted rude comments at Hatcher, calling him expletive names for considering the other school. These comments left by disrespectful fans did not both Hatcher, but had advice for potential upcoming high school recruits who would not like the attention received. The unawareness of NCAA rules with social media and recruits is something Dyson said bothers him, especially knowing his department will not be able to contact every violator. Despite the mass amount of violations, the NCAA understands the difficulty of monitoring social media. A university’s compliance office is unable to work directly with prospective recruits until after the recruit signs, so it can be difficult for recruits to understand how to handle contact from fans (officially defined as boosters by the NCAA). A way to help prospective recruits is educating their coaches and parents. Kevin DeShazo, founder of Fieldhouse Media and an Oklahoma State graduate, created his company to provide social media education and monitoring services for student-athletes at the collegiate and prep level. DeShazo has worked with the Edmond school district as well as other schools in Oklahoma on creating a social media policy and educating high school athletes. DeShazo has a theory that high school coaches are the key in educating their athletes, particularly during recruiting. “Coaches play a significant role to the recruitment process,” DeShazo said. “Many times they may be the middle-man. The college coaches are contacting the high school coaches trying to get to a kid. Although the NCAA’s rule forbidding fans from contacting recruits through social media is clear, other NCAA rules regarding social media can be vague or not updated with recent technology. Dyson said the NCAA is evaluating changes to the rules regarding social media to update them to modern times. He expects to know what changes will take place when the NCAA’s Board of Directors meet later this month. Mike Gundy, Oklahoma State’s football coach, said there are positives to social media use, but it can also be harmful to an individual if not used correctly. Gundy agreed that, for good or for worse, social media use is not going away. I'm trying to recall if I accidentally contacted Dyson, Glanton....etc... before they committed. But I guess it doesn't matter since we landed every single guy....but good to keep in mind!